The UPS man came by today with a beautiful package. 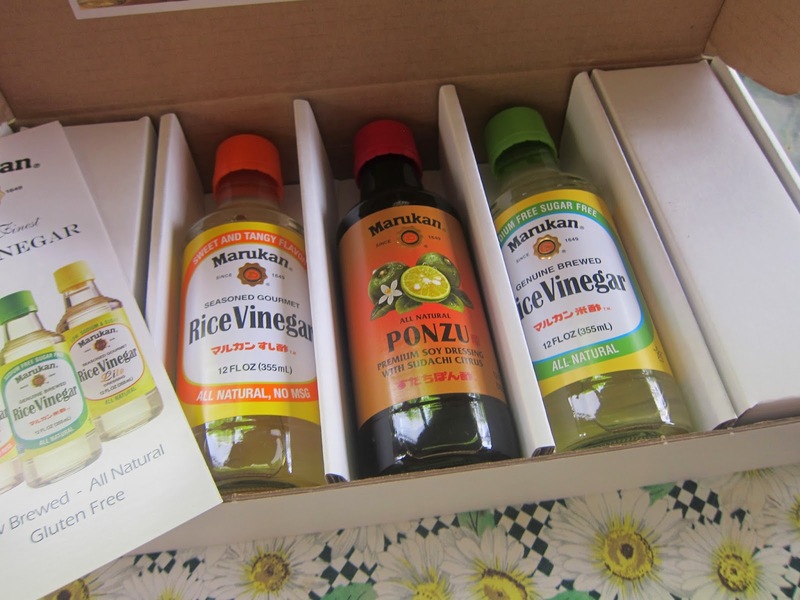 Marukan had emailed to see if I'd like to try out their gourmet rice vinegars developed in Japan and in business since 1649. They offered me a free set and one for readers if I'd try them out and post and honest review. I lived in Japan for a year or so, and even though this is crunch time at work, I wanted to check out these rice vinegars. Marukan uses ancient and slow methods to develop the flavors on the vinegars with all natural, certified organic ingredients. They are also certified with no GMOs and are Kosher too. All this means lower acidity so a mellow vinegar kick without making you pucker up like many of the cheap ones. These vinegars are quite hot with the high end chefs and TV celebrities like Martha Stewart, Hoda Kotb, Marie Oser, and Walter Staib. • MARUKAN GENUINE BREWED Rice Vinegar: This exceptional artisan vinegar takes 2 months to brew in the traditional way with NO sodium and all natural ingredients to heighten the flavor of any recipe. The delicate acidity is versatile and excellent as an addition not only to Japanese but also Chinese, European or American dishes. You can use it straight from the bottle, or as an ingredient for salad dressing and sushi rice. This product contains NO sodium, fat, sugar, artificial ingredients or calories. Naturally gluten free and non-GMO. 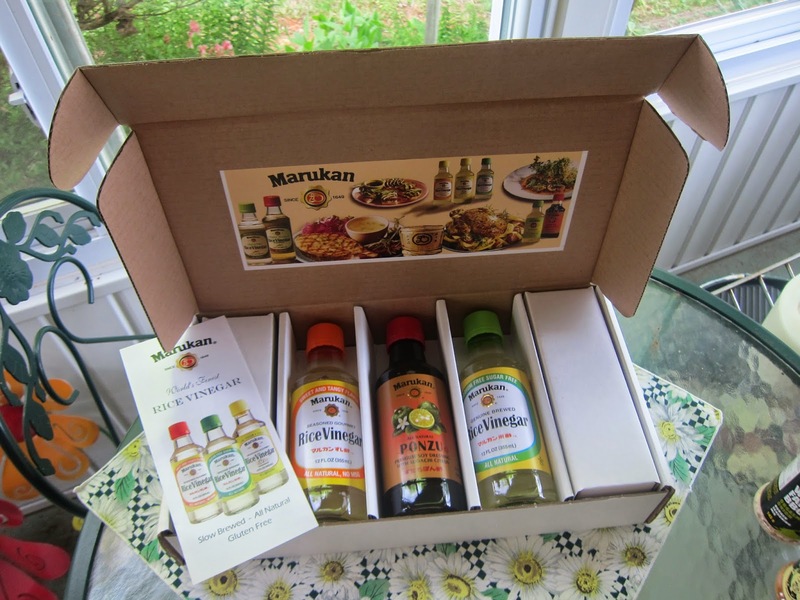 • MARUKAN SEASONED GOURMET Rice Vinegar: Marukan's best-seller for sweeter marinades and more flavorful dressings, dips and sauces. We have more recipes featuring our Seasoned Gourmet than any other variety. Blended with care according to Marukan's very own processing technique, it can also be used in preparing delicious sushi rice at home by simply mix 1 oz. Marukan Seasoned Gourmet with each cup of steamed short-grained rice. Because it does not contain any fat, it also serves as a healthy ingredient for marinades by mixing it with your choice of oil or creamy dressing. Non-GMO and naturally gluten and fat free. How Can You Win This Special Prize? Just comment here on the post to be entered in the Barbecue Master giveaway which will end on Saturday night at midnight for a Mother's Day treat for someone who loves to grill or rock it out in the kitchen (May 10, 2014). Do leave me some clue as to how to find you if you win. It can be an email or something like your FB name if you're on my list. I only use this data to send in the winning name, so Marukan can mail the package to you. Some readers like extra entries. Do any of the following and just add as a new comment, so I'll get your extra slip in. - Share the contest link on FB. - Share the contest link on Twitter. - Share the contest giveaway on Google+. - Post the contest and link on your blog if you have one. You don't have to do any of the extras. A comment gets you entered. These are just extra entries if you like to do that. Where Can You See or Buy Marukan Products? 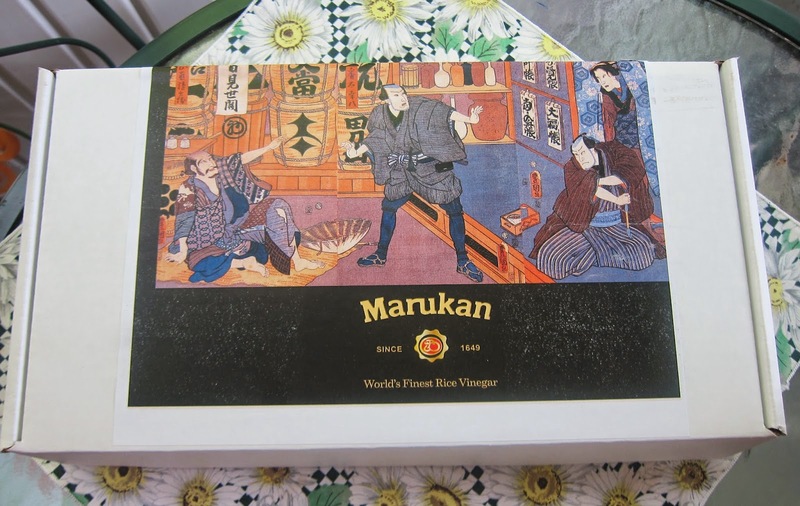 Where to Buy: Find Marukan in the Asian foods section or wherever fine vinegars are sold, including major retailers nationwide like Whole Foods, Ralphs, Smart& Final, Stater Bros, Jons, Albertsons. Good Luck! This would be a great Mother's Day Surprise. The winner is Mary. CONGRATULATIONS! These would be great to use. I have been thinking about getting into different vinegars. Posting again, not sure if mine went through. These sound really good. I have been thinking about trying different vinegars with my cooking. Johnny WG - would enjoy these. Enter. THese look fantastic. Thanks for the giveaway! This is a nice prize. Thanks for the giveaway. Chris M WG Wants some rice vinegar. I'd love to win this great prize, thanks so much for offering it! What a great giveaway. I will most definitely share on Facebook!! I use a lot of vinegar in cooking and am always experimenting. These would be wonderful. I shared this contest on twitter. I shared this contest on Google +. Would love to give these a try. Richard R @ WG. I'm going for the win because this is the only brand of rice vinegar I buy! 5. Because the 10 th is my birthday? Can't blame me for trying!!! 5. Because the drawing day is also my birthday! Can't blame ME for trying!!!! This is a SWEET giveaway! I love all of your cooking products!